Imagine driving your boat to the lake, without a trailer or a tow vehicle. Imagine fishing an ocean island and operating your boat out of the water on to an excellent beach for lunch. You don’t have to imagine. Sealegs amphibious boats were conceived as a solution to a problem. The problem – all the hassles and time involved in launching and retrieving a boat from a beach-front property or a boat ramp. The solution – Sealegs amphibious boats, which drive on land without compromising on-water performance. Using patented amphibious technology, Sealegs craft drive on land, and with the push of a button, swiftly transform themselves into high-speed powerboats on the water. No more waiting in lines at boat ramps, no more reversing trailers, no more catching the tides. Sealegs solves all these problems and more. Sealegs owners report up to 4x more use from their boat after switching to Sealegs, and it’s easy to see why. 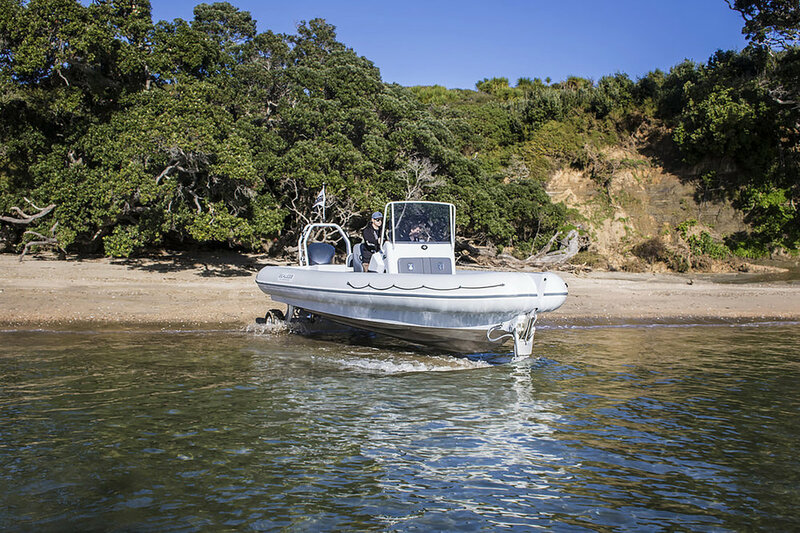 Developed in Auckland, New Zealand, one of the marine capitals of the world, Sealegs is a pioneer in amphibious boating technology. We produce both amphibious craft for the local market, and amphibious enablement kits for the world market. Our patented system has been exported to more than 50 countries for recreation, commercial, military, and rescue applications. Tested in difficult locations and adverse weather conditions, the solution has proven its versatility, strength, and power, and has revolutionized boat launch and retrieval around the world. Sealegs began as an idea and began production in 2005. Since then, we have produced more than 1000 craft spread over an ever-increasing range of models. Sealegs is a member of the Future Mobility Solutions Group, a company with a focus on marine and transport innovation and with offices based in France, United States, New Zealand, and Australia.